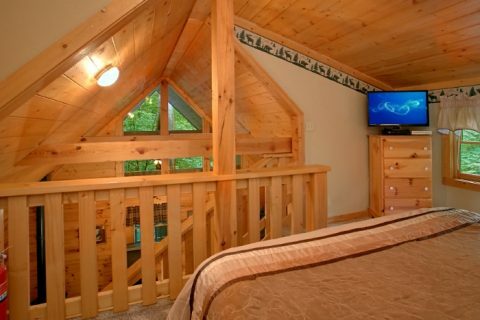 Welcome to "Mtn Dreams," a honeymoon cabin close to the Pigeon Forge Parkway with mountain views. 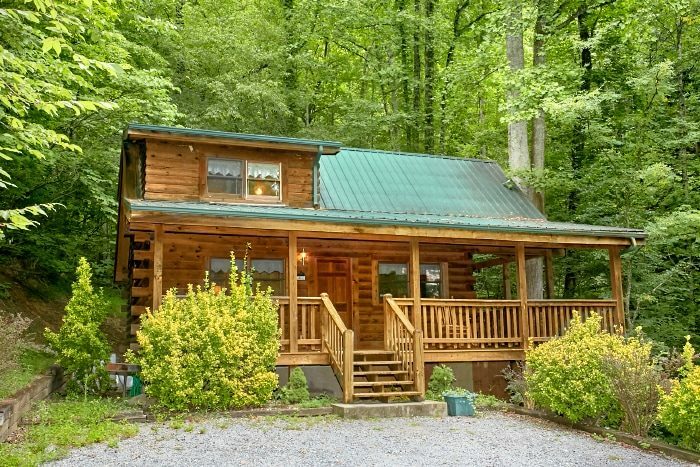 This cozy log cabin sleeps up to 4 guests, but it's perfect for couples vacationing in the Smoky Mountains for honeymoons, anniversary trips, and weekend getaways. 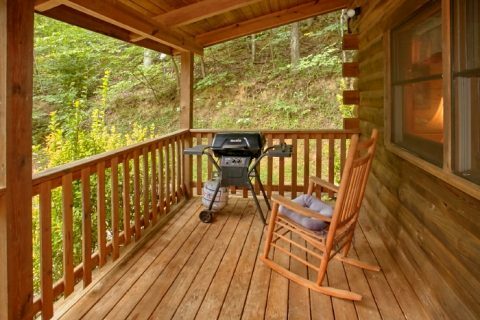 This cabin enjoys a secluded, wooded setting that is also close to the fun-filled attractions of Downtown Pigeon Forge. Thanks to a great location only minutes away from the Parkway, couples that rent "Mtn Dreams" will stay close to the seemingly endless restaurants, shopping, and attractions along the main road. Better yet, guests can easily reach the Great Smoky Mountains National Park and other attractions in Gatlinburg from the Pigeon Forge Parkway. 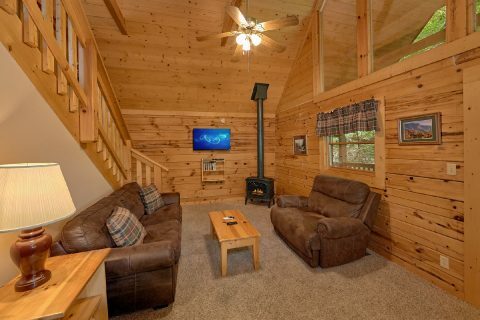 No matter what you want to see or do during your stay, having a cabin in the heart of the Smokies will give you the flexibility to complete an ambitious vacation itinerary. 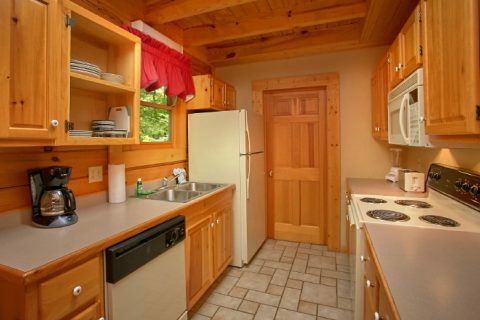 Following a great day in the Smokies, you and your sweetie can look forward to relaxing in your secluded cabin with mountain views. 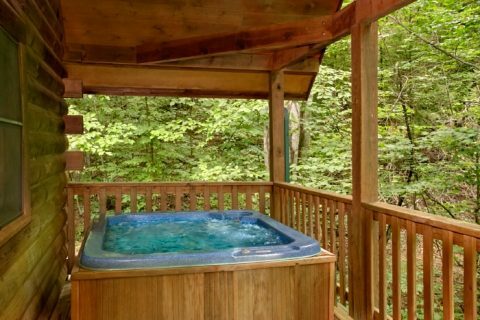 Enjoy a relaxing soak in your cabin hot tub on the back deck. Curl up by the unique, gas fireplace and enjoy shows on your satellite television. 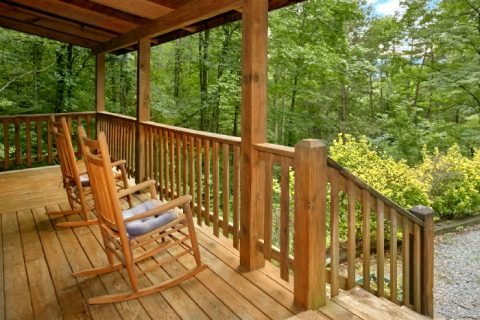 Enjoy the sounds of nature from a rocking chair on the front porch. Get some much-needed rest in your cabin's king size bed when it's time for bed. A sleeper sofa in the living room offers more sleeping room for children. Book your secluded honeymoon cabin rental near Pigeon Forge with Cabins USA Gatlinburg and earn our special 15% discount on your lodging. 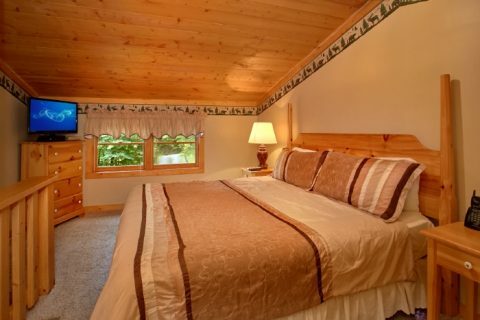 Experience great vacation savings on your honeymoon or couple's retreat in the Smoky Mountains of Tennessee.